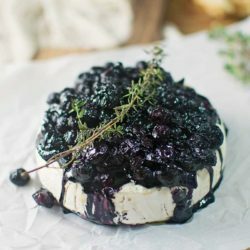 Enjoy the Holiday Season with this insanely tasting Baked Brie with Balsamic Blueberry Chutney! 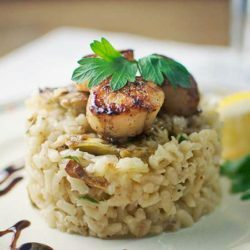 Enjoy a gorgeous meal of Pan Seared Scallops with Artichokes over Risotto Blanca. It’s easy to prepare and taste amazing. 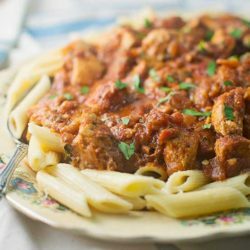 Enjoy Chicken Mozzarella Pasta + Giveaway! 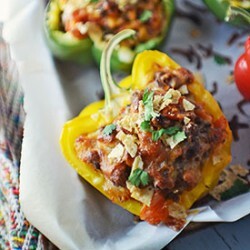 Tasty meal from The Pioneer Woman + Enter to win a Signed Copy of her new cookbook! 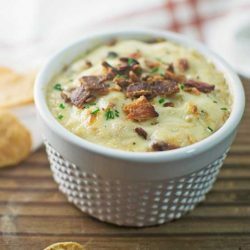 A gorgeous hot Caramelized Onion Bacon Dip, perfect for that next party. 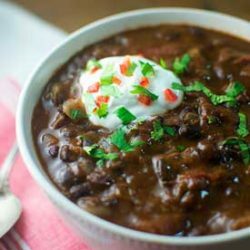 Try this Texas style Slow Cooker Chili and enjoy a cozy meal perfect during football season or simply to enjoy a warming meal. 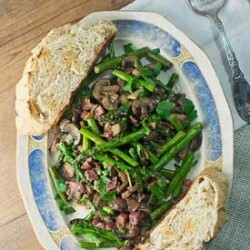 Enjoy this Asparagus Mushrooms and Prosciutto for breakfast with a soft poached egg, as a light lunch or as a side for dinner! 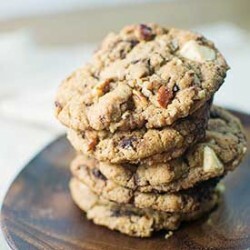 Enjoy these yummy Spiced Chocolate Chunk Cookies with a tall glass of milk! 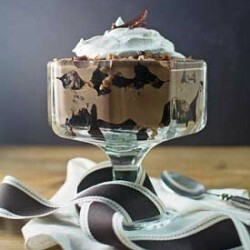 A gorgeous trifle, Death by Chocolate with a hint of black pepper. It’ll warm you up! 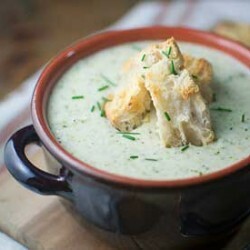 Creamy Broccoli Potato Soup with Parmesan Croutons! 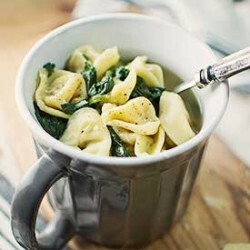 Less than 5 ingredients away from a gorgeous, easy-to-make soup, Tortellini Soup! 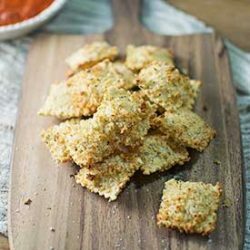 Serve as an addictive appetizer or light meal with your favorite marinara sauce, Toasted Ravioli! Psst … it’s baked not fried! 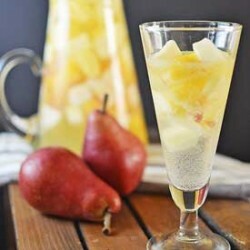 Enjoy Autumn Sangria, it’s not just for summer anymore. Easy to make and taste like fall, German Apple Pancakes. 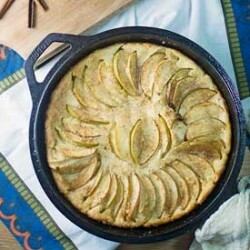 PLUS Cast Iron Giveaway. 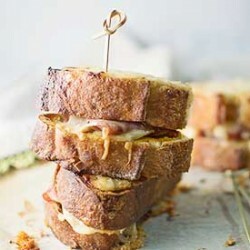 The classic and gorgeous tasting, Croque Monsieur, a pimped up ham and cheese. 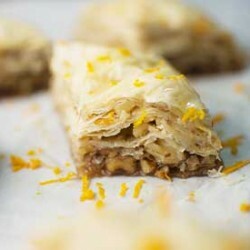 Crispy layers of phyllo (filo) pastry stuffed with honey & nuts, gorgeous tasting Baklava! 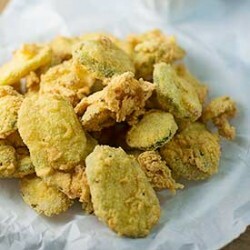 Try these insanely addictive Fried Pickles, they are perfect for any party, think Game Day! 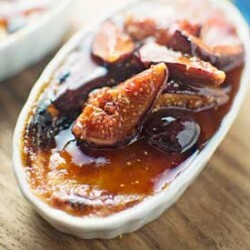 A posh yet surprisingly easy dessert to prepare, Lemon Creme Brulee with Candied Figs! 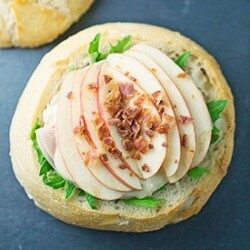 This is one for a crowd, a bundled, easy to make and take Triple Meat with Brie Picnic Sandwich! Perfect for tailgating or any party. 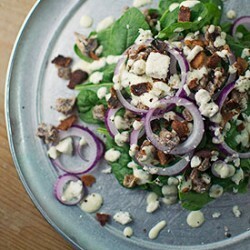 Enjoy this easy to make and crazy delicious Spinach Salad with Feta Cheese Dressing! 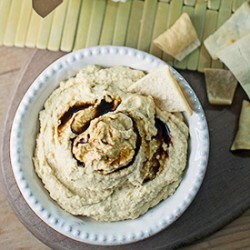 Asian inspired Wasabi Ginger Hummus! 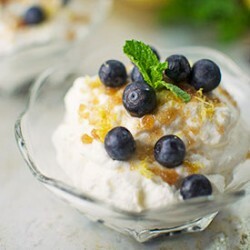 So easy to make and taste brilliant. 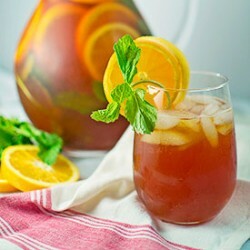 How to make the drink of the South, Sweet Iced Tea. No Southern kitchen would be without it. 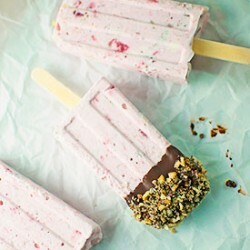 Enjoy these refreshing Fruity Ice Pops during the heat of summer! Full of tasty fruit for a special treat. 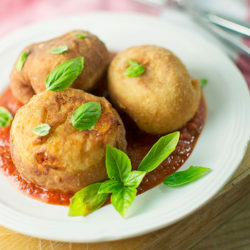 A yummy twist to the traditional pizza, Little Pizza Bombs! Full of flavor and perfect as a starter or an appetizer for any meal. 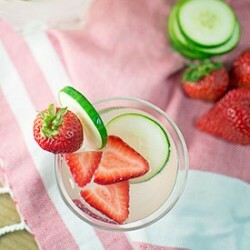 A refreshing sparkling drink to enjoy this summer, Strawberry Cucumber Refresher. 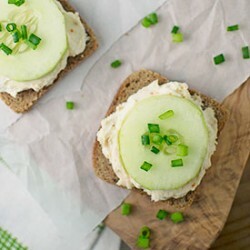 These easy to make Cucumber Crudites are perfect for any dinner party, bridal or baby shower or Tea party! 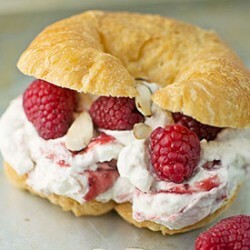 Enjoy this gorgeous dessert anytime, Raspberries with Almond Cream Pastries! 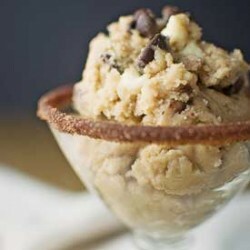 Easy to make and taste amazing. 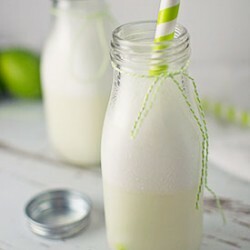 A refreshing drink for those long hot days, Brazilian Lemonade! 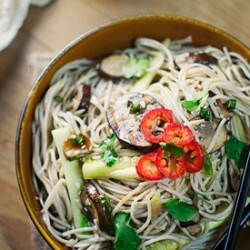 Simple yet incredibly full of flavor, Soba Noodles with Dipping Sauce! Perfect on a warm day served cold or heat it up for a cozy meal. 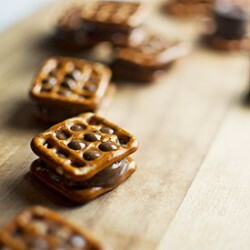 Super easy, incredibly yummy and completely addictive, Chocolate Caramel Pretzel Bites! 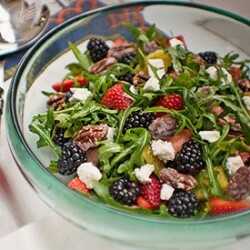 Make this beautiful Florida Arugula, Berry and Citrus Salad & enjoy a little taste of spring & summer. You could make any day #TacoTuesday with these tasty Taco Stuffed Bell Peppers! 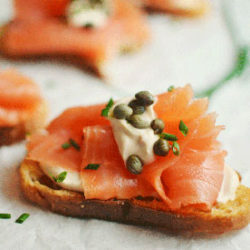 The perfect posh start for any meal, Smokey Salmon Crostini!